The Colosseum held over 50,000 spectators. 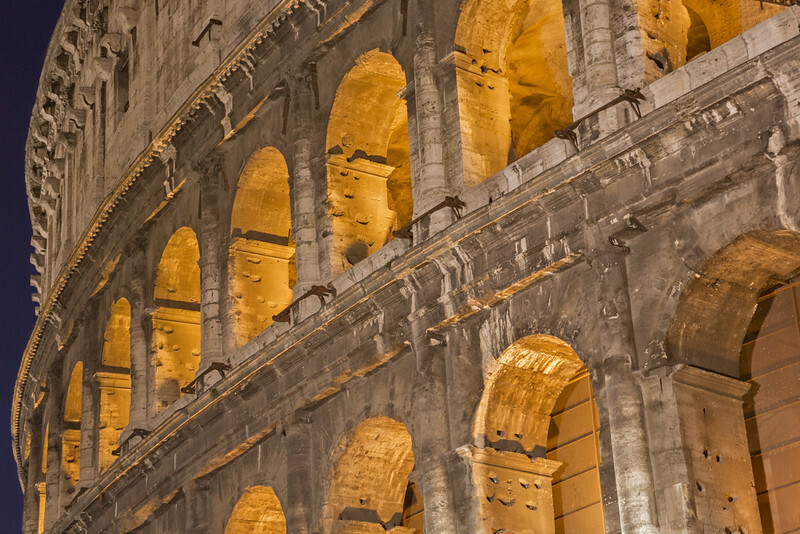 It's construction began in 72 AD. It has not been used for entertainment since medieval times. The structure is now partially ruined due to 21st century earthquakes and stone thieves. During my visit, a large portion was under renovation.